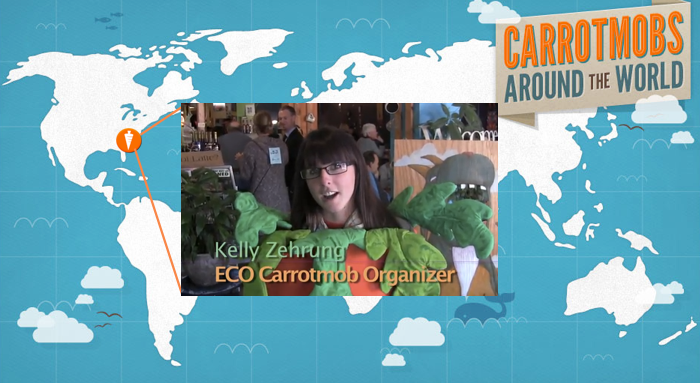 So far, Carrotmob has been most popular in places like Europe, North America, and Australia. As we become more and more of a global movement we’ve seen campaigns in Asia and South America, and today we are thrilled that we have finally reached Africa. 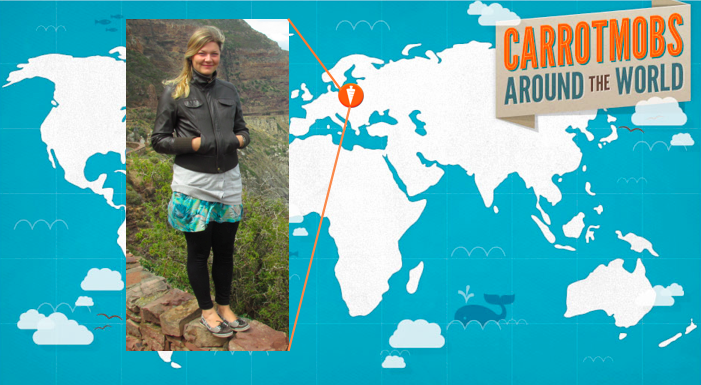 The first African campaign will be in Cape Town, South Africa, on November 18th (tomorrow). 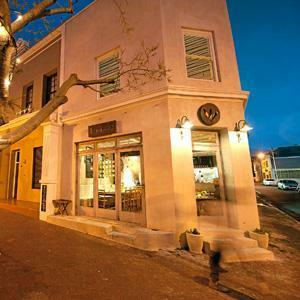 It’s being organized by a coalition of organizations, led by the local government of Cape Town. Read more about their campaign here. Carrotmob campaigns always show the strength of local communities, but this is another great example of how the Carrotmob movement builds strong bonds across international lines. We’ve had the Helsinki organizers meet with San Francisco. The New Hampshire organizers have met with the Scotland organizers. The Toronto organizers have met with the Boulder organizers. And the genesis of this South African campaign was in Frankfurt. This summer on my tour of Carrotmob in Germany I met with Julia Karl to strategize, and she (along with Anne and others) have now set up a great campaign. And it gets better. One of the things we talked about was how to successfully apply the Carrotmob model in communities that don’t necessarily have money, and may not be educated about issues like climate change. So this first campaign will be targeted towards South Africa’s climate activists, and it will be in a more wealthy part of town. But they are also working with leaders in Khayelitsha, the largest township in Cape Town, and we expect to see the first ever Carrotmob focused on an impoverished community early next year. Stay tuned! 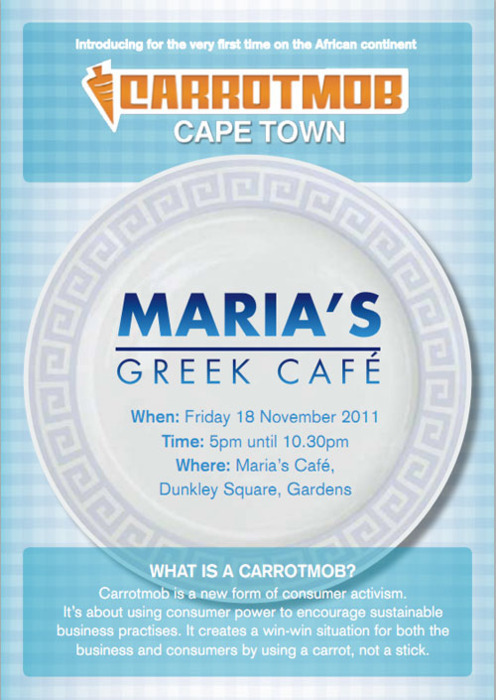 You can follow these organizers on Facebook or Twitter, and you can also watch a livestream of Julia giving a Pecha Kucha presentation about How Carrotmobs Can Save The World at 3:30pm (Cape Town time on Friday). Africa! Here we go!